The U.S. Environmental Protection Agency provided a total of $85 thousand toward establishing a state-of-the-art coastal observing system in Casco Bay Maine to help coastal managers evaluate the threat of coastal acidification from excess CO2 in the atmosphere. The system was deployed on April 23, 2015. The coastal observation system provides high-precision and high-frequency measurements of seawater acidity, dissolved carbon dioxide, conductivity (or salinity), temperature, and dissolved oxygen. The system is unique in that it enables for the first-time monitoring of water quality in the near-shore coastal environment with the precision and accuracy to discern minute, long-term changes in seawater chemistry. 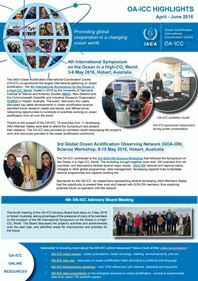 To date, monitoring and assessment of ocean acidification has been focused primarily on the open ocean. This inaugural event is the result of a well-coordinated collaborative effort by EPA, the Casco Bay Estuary Partnership, the University of New Hampshire, Southern Maine Community College, Friends of Casco Bay, and the Northeast Coastal Acidification Network. The high-precision data, when combined with ongoing nutrient monitoring, will help the Casco Bay Estuary Partnership and other coastal managers evaluate and respond to coastal acidification in Casco Bay. This event will also promote the release of the Casco Bay Plan, October 13 at the State of the Bay conference at the Doubletree Hotel in South Portland, Maine. At the conference, CBEP will discuss how the plan will help protect, restore and monitor Casco Bay as the ecosystem changes in response to a changing climate. 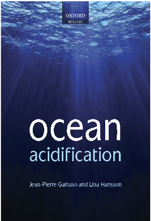 Ocean acidification is a significant and harmful consequence of excess CO2, a greenhouse gas, in the atmosphere. At least a quarter of the CO2 added to the atmosphere from human activities is absorbed by the oceans each year. When CO2 enters the ocean, it combines with seawater to produce carbonic acid, which increases the acidity of the water. Over the last 250 years, the oceans have absorbed an estimated 560 billion tons of CO2, increasing the acidity of surface waters by about 30%. A consequence of the oceans becoming acidified is the decreased concentration of carbonate ions, which are used by marine organisms, such as corals, oysters and some plankton species, to make their calcium carbonate shells and skeletons. As the availability of carbonate ions decreases, it becomes more difficult for these animals to build their calcium carbonate structures. In addition to the contribution of atmospheric CO2, land-based anthropogenic sources of nutrients and organic carbon can contribute to localized changes in the bio-geochemistry of coastal waters, resulting in “hot spots” of increased acidification. The U.S. Environmental Protection Agency, 9 September 2015. Press release.